This reissue, initially published in 1989, considers the upsurge of locally-based movements attempting to improve living conditions in Third-World cities throughout the 1980s. 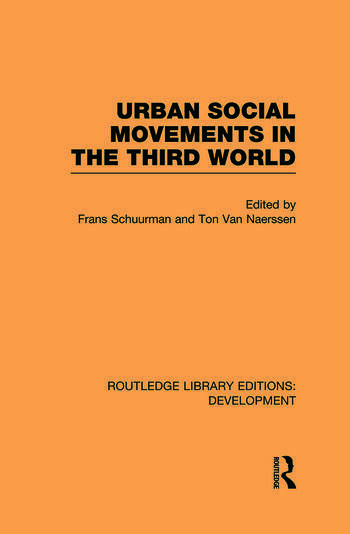 The book presents qualitative, comparative research on the dynamics and constraints of these urban social movements, in a cross-cultural framework, using case studies from a variety of Latin American, African and Asian countries. As more democratic-type regimes establish themselves in the Third World, the possibilities for collective organisations and actions increase. Urban social movements therefore are playing an increasingly important role in the habitat of the poor.